Soon after the first cut though, I learned that my Trader Joe’s pumpkin (that I meticulously examined and compared to the available inventory the day before) was decidedly sub par, as it was half rotten. Luckily, I didn’t let this small detail discourage me and ruin the fun that night. 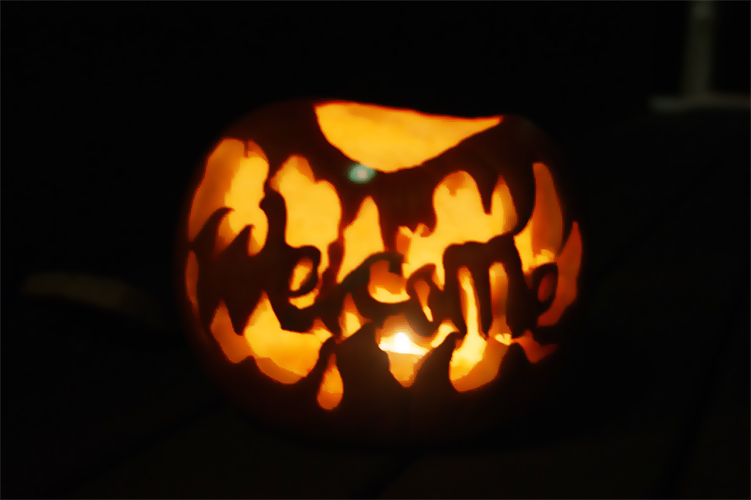 So I continued carving, and even managed to end up with a respectable looking jack o’ lantern. Seems like a pretty harmless thing to do, right? 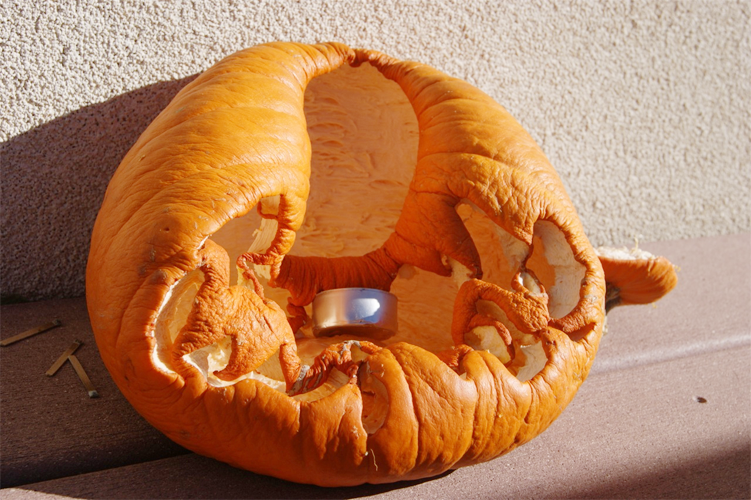 To leave your jack o’ lantern outside…Well, it turns out the combination of intense desert sun, an unusually hot October, and the slightly rotten consistency of the pumpkin’s flesh, made for something much less impressive when the next night rolled around. It’s safe to say that I won’t be impressing trick-or-treaters with my pumpkin carving craftsmanship this Halloween…but hey, there’s always next year, right?